Last Friday, Signal went back to college. No, we didn’t host a fraternity party—but we did host six computer science and engineering freshmen and two advisors from University of Nebraska–Lincoln. After a tour of the office, Signalites and our guests circled around a long table in our lunch room. 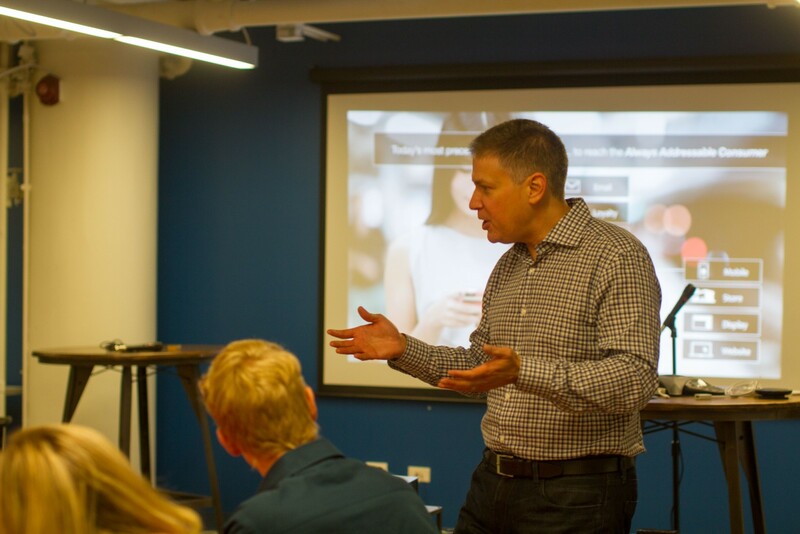 As everyone sipped La Croix and bit into their Donut Vault doughnuts, Mike Sands, Signal’s CEO and co-founder, talked with the Nebraska students. “Because people are using technology in new and different ways, every year it gets harder to connect data from all the channels and have a clear view of the customer,” Sands said. He explained that Signal is the glue that connects the different channels on which consumers interact, pulling together first-party data to resolve identity and provide a unified understanding of the customer. Signal CEO Mike Sands talks to students from the University of Nebraska – Lincoln. Lisa O’Keefe, VP of Talent & Culture at Signal, was thrilled to introduce students to the rich tech scene in Chicago and show them they do not have to head to Silicon Valley to solve complex engineering problems. “It’s incumbent on those of us who are working in Chicago to show students they can make a great impact technically, ascend in their career, and stay in the Midwest,” she explained. 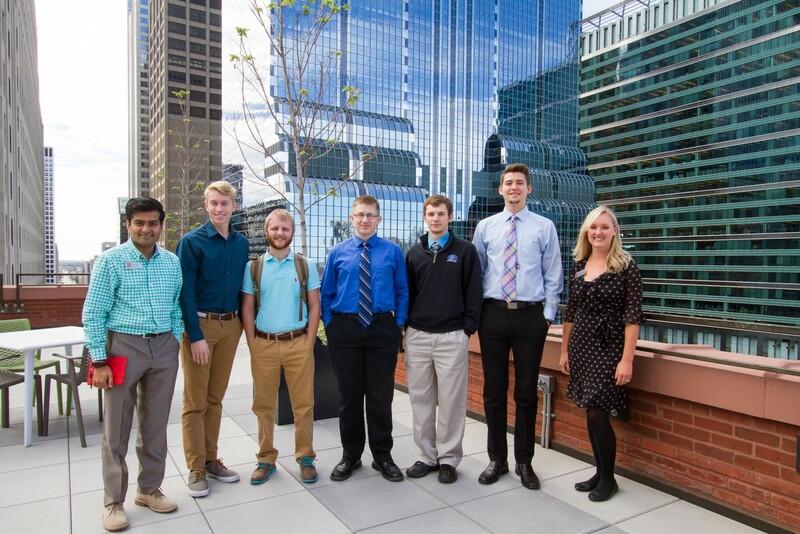 Nebraska students and their advisors on the roof at Signal in Chicago’s West Loop.